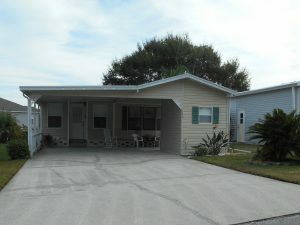 Orlando Investment Home For Sale – Interested in a clean, well maintained furnished two bed/bath and a half home in a lakefront community? Not 55+. Water, sewer, lawn maintenance, trash included in your low HOA fees ($170/mo). Just minutes from Disney World, 192, and 27. Boat and RV Storage on site. Community features a clubhouse, two pools, and shuffleboard courts. There is a picnic area near the lake. The home also has a two-car carport allowing for ample off the road parking, a 7×10 storage shed, and room between the home and the shed for a great front “porch” area. Roofover 2016, A/C 2010, Water Heater 2010. PRICED TO SELL!